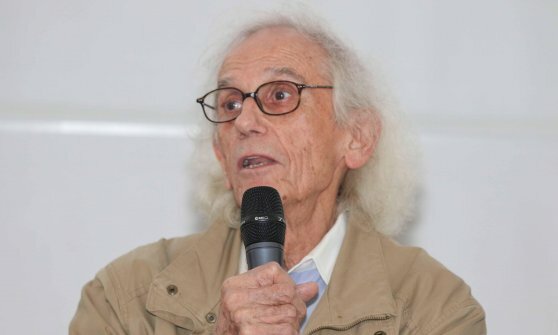 The name is challenging and is also challenging the target that you are given: in fact, he is called Christo, and has made a commitment to us by none other than walking on water. 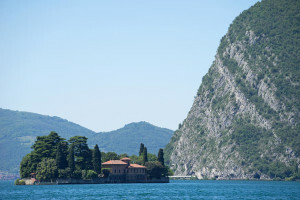 The “miracle” will take place on Lake Iseo, just from June 18 until July 3: a floating walkway, called The Floating Piers, over three kilometers join the coast with Montisola and the small isle of St. Paul. 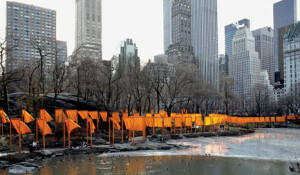 The walkway will actually be a real water avenue, no railings on the sides, and indeed with the banks which are lowered to the water level; It will be covered with a garish sun-colored fabric that will track as a sign of fire in the water. In short, we are facing a performance that will attract tens of thousands of visitors and which is already talking about the press around the world. But who is this artist who has embarked on an enterprise so crazy? His full name is Christo Vladimirov Javacheff. Now it has American citizenship, but was born in Gabrovo in Bulgaria 13 June 1935. 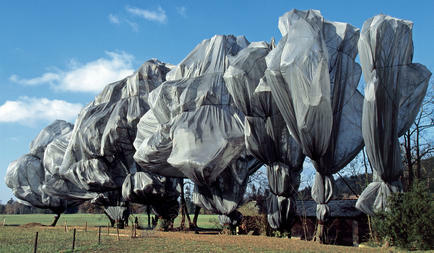 In 1957 he fled from the east and arrived in Vienna, where he could start building his artistic adventure. Christo is in fact an artist from the strange profile. He never thought it was paint or sculpt his fate. Because his vocation was to paint and sculpt reality directly, without worrying too much about the size of that reality had. 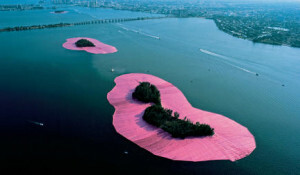 So we could call an “environmental artist”, certainly with a large spectacular vocation. The key date in the history of Christ, however, is that of a very personal encounter: in fact in March 1958 in Paris he met Jeanne-Claude Denat de Guillebon, born in Casablanca in his own day and in his same year. They married immediately and were “one body and one artist” until her death in 2009. 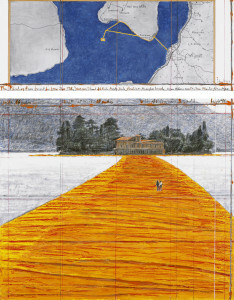 In Paris Christo and Jeanne-Claude had frequented the rooms of the New Realism, a group of conceptual artists who had provocatively disrupted the view art a little ‘sleep of old Europe. 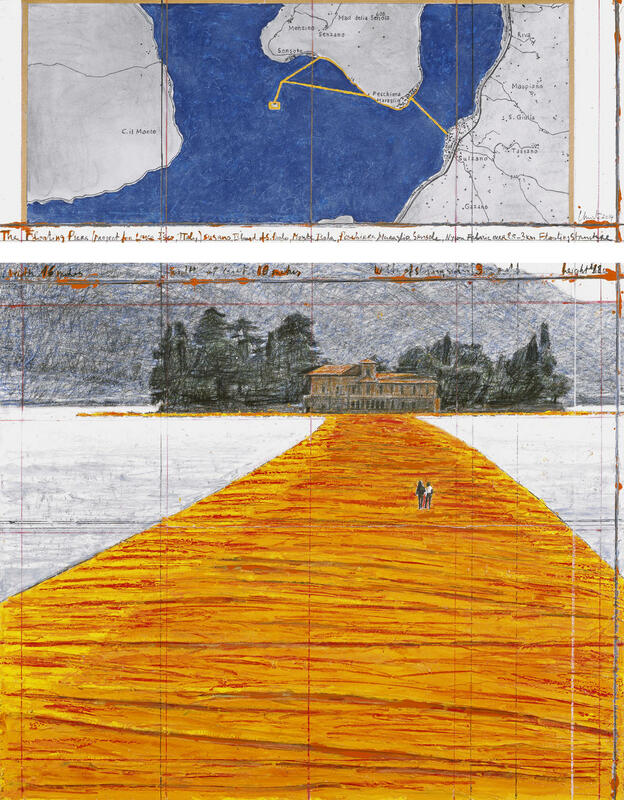 There Christo had developed his idea to pack objects to make art forms. 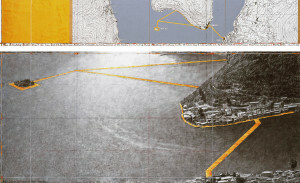 But the real leap the couple did in 1969 when the objects began to change the landscape of pieces: packed up in that year 93 thousand square meters of the Australian coast with a white fabric. A few years later it was the turn of some uninhabited islands off Florida. In this case the islets covered with a pink fabric realized the fascinating effect of giant water lilies in the sea. But the performance that made them holy to the world star was the packaging of the Reichstag, in Berlin, in 1995. 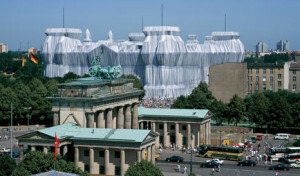 It was an epic event in the German capital that attracted hundreds of thousands of people: the German Parliament was covered by 100 thousand square meters of polypropylene fabric silver and tied with 15 kilometers of cable. The company worked 70 climbers and over 120 skilled workers. Obviously Christo and business lady are challenging businesses. 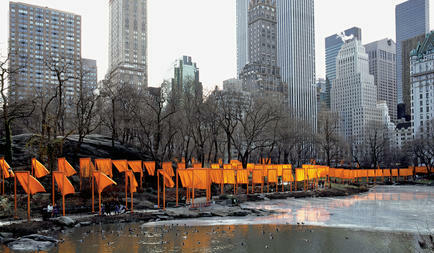 And then thinned out over time: the last one was conducted in February 2005 to Central Park in New York, where they were assembled 7053 high gates almost 5 meters, marked with orange curtains. Obviously it was an event that calamitò hundreds of thousands of curious and passionate, all committed to follow the harmonic path that the couple had drawn in the immense green lung of the American metropolis.